If you needed another reason to watch Agents of S.H.I.E.L.D. 's much improved second season, how about Edward James Olmos? Unfortunately, we know nothing about who Olmos will be playing (beyond Marvel's promise that he's going to be a big deal) -- Gonzales appears to be a new character to the Marvel universe, so there's no guessing what form Olmos' role will take. 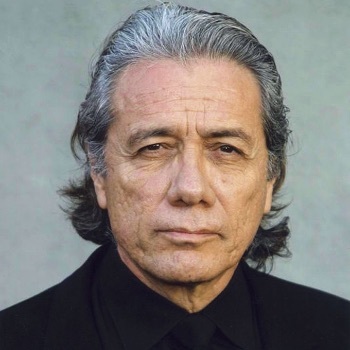 However, you don't cast Edward James Olmos unless you want to bring the gravitas, and that particular weight has been lacking, at times, from S.H.I.E.L.D. 's cast, so we definitely welcome this addition.